Most of the friends use Filesonic , Fileserver and FileFactory to download movies,games and other large files and stuffs. But most of them download using Free Links or some download by using premium membership which mostly expires or not able to download. As a free user you need to wait many time and need to enter the captche and all those useless steps. But today I am going to tell you about a trick using which you can download All your Files at a Premium Speed for Free . 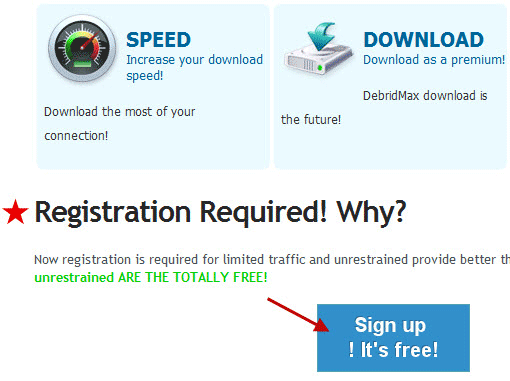 All you need is to register yourself in a Site named as DedridMax . below the debridmax home page. window appears where you have to paste download links ( 8 at a time). 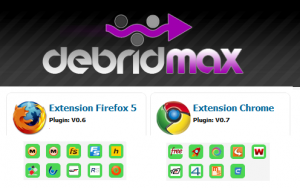 Premium Download Link will be generated and file can be downloaded immediately direct from browser or Download Manager Software. 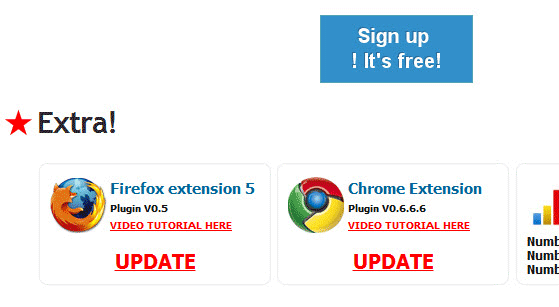 Now you can copy your Links in the dialog box in the top right extention button and you will get the premium download link.